There will be wizardry and wonder in the air this October as Chestnut Hill transforms for Harry Potter Weekend. 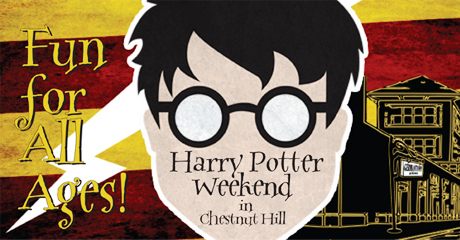 On October 26-27, the Chestnut Hill neighborhood will play host to a weekend’s worth of spellbinding events that will keep children and adults, and wizards and muggles, entertained. All weekend long, shops and restaurants will magically change into places right off J.K. Rowling’s pages. Visit the Leaky Cauldron, Madam Puddifoot’s Tea Shop, Weasley’s Wizarding Wheeezes, Hogwarts Greenhouse and many more. The complimentary Knight Bus Trolley in Chestnut Hill will help you stroll the avenue to catch magic shows, costume contests, movie screenings, shopping and more. Don’t Miss: The 3rd Annual Philadelphia Brotherly Love Quidditch Cup Tournament at Chestnut Hill College. Dumbledore will open the festivities on Friday evening at 6 p.m. at the Top of the Hill Fountain Plaza with a parade of Quidditch teams. Later that evening, adult wizards and muggles can join the Harry Potter pub crawl and (new!!) “The Hunt for the Horcrux” scavenger hunt. Meanwhile, the younger set can enjoy the Diagon Alley Straw Maze at Woodmere Art Museum, then jump on their broomsticks and fly to the Chestnut Hill Hotel at 7 p.m. for a showing of Harry Potter and the Sorcerer’s Stone. 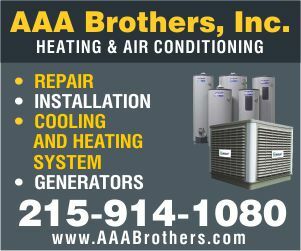 For a nominal fee, others can brave the darkness on a scary Ghost tour leaving from the Chestnut Hill Hotel, 6:30-8 p.m.
On Saturday, cheer on your favorite Quidditch team at the 3rd Annual Philadelphia Brotherly Love Cup at Chestnut Hill College from 9:30 a.m.-6 p.m. on the softball field. Free and open to the public, the tournament showcases 16 college Quidditch teams from the Philadelphia area and beyond and will feature two Quidditch pitches with games played simultaneously for spectators to view. The best three teams will compete for the Cup in the final bracket of the tournament. Quidditch 101, coached by Chestnut Hill College Quidditch players, will be offered on Sunday on the estate lawn at SugarLoaf at 11 a.m. Trick-or-treating and a costume parade in Chestnut Hill will follow later in the afternoon. On Sunday, ride on up to Northwestern Equestrian Center to meet Tenebrus, a Thestral from Hogwarts. Visit the stall of Hagrid’s favorite winged horse to learn more about Thestrals and meet Tenebrus at the costume parade. From 11 a.m. until 2 p.m. the stables will be open to the public for their annual Halloween costume parade, open house and arena games. "20 Years Of Terror Behind the Walls"
Halloween Costume: Play It Cheap! Happy Haunting on the Coming Halloween!